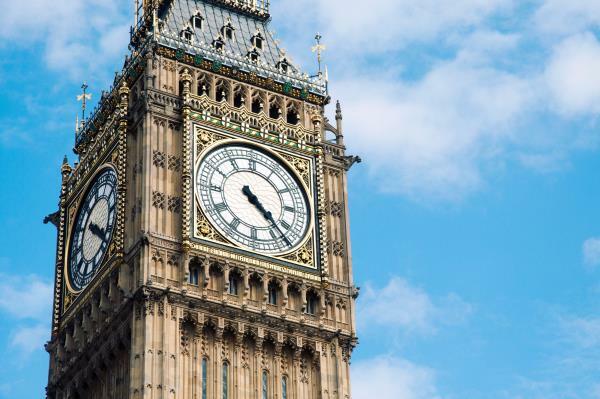 A complex job to restore one of London’s most iconic landmarks, and at 315-ft the Big Ben Tower is no exception. It appears the price tag to renovate and restore will be much higher than expected (£61m to be exact) but this magnificent building deserves it. The Great Clock will be dismantled and its parts removed for examination and repair. The four dials will be cleaned, the glass repaired, and the hands removed and refurbished. The delivery of this extraordinary project has fallen into the hands of Sir Robert McAlpine Special Projects Division Ltd and no doubt they will go to all lengths to reveal the tower in all its glory after 4 years of hard work and silencing of the tower. We were surprised to learn that the renovation is being carried out using steel from Germany, Brazil and the United Arab Emirates. As Britain’s steelmakers face intense international competition and struggle to recover from the crisis which wracked the industry two years ago and cost thousands of jobs, this news can’t have been received well. It appears the ‘quantity and size’ of the scaffolding meant some of the steel had to come from abroad. Further controversy increased as clock enthusiast Mr Melvyn Lee (of Thwaites & Reed, Britain’s oldest clockmakers) expressed his thoughts when the silencing of the bell was announced saying it was ‘nonsense’ and that the clock mechanism for the bell could be maintained even throughout renovation. Protecting workers ear drums and the like used as excuses but it seems this throws up a wider conversation about our love for and patriotic views towards London landmarks, their role and traditions. Either way this renovation will be for the good of this architecturally outstanding building and its familiar tones.